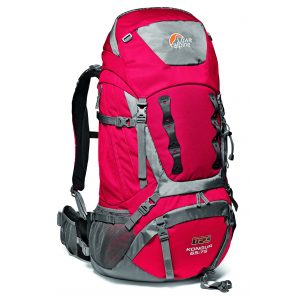 A solid, comfortable pack that is easy to adjust. I won this Lowe Alpine TFX Summit 65+15 (lime green and black version) from a photo contest on Trailspace, way back in 2008. What an awesome prize! At the time, I had purchased just two years prior a Kelty 6700 (110 liters). So the size difference was pretty significant! 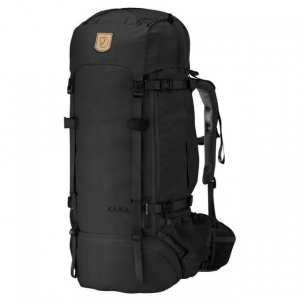 The weight is pretty comparable to the Kelty, so I have always found myself reaching for the Kelty, which offers more pockets, more capacity, and about the same level of comfort for me. For the reason, multiple times my wife has told me I have too many backpacks and should just sell the Lowe Alpine. Of course to me, her logic doesn't make sense... :) But, I've kept it around as an option to use on shorter-length backpacking trips. 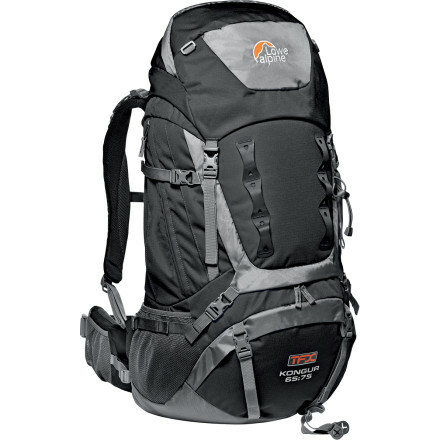 I have used this pack for a couple of day hikes, including a 15-mile, nearly 5000 foot hike up Mt. Timpanogos. 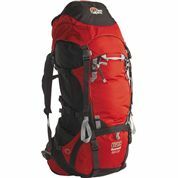 Of course, this pack is definitely overkill for a day hike if you only carry some food, water, and a jacket... 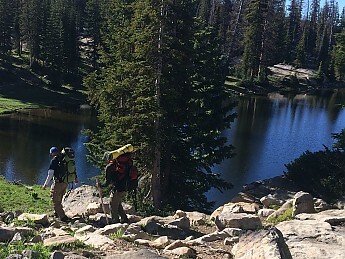 I've still yet to personally use it on a backpacking trip; however, my brother (5'11", 190 pounds) and my dad (6'4", 230 pounds) have both used it on multi-day backpacking trips in Utah and Idaho. So, my review is based on my experience with this pack through them. This pack is very easy to adjust for different torso lengths. The hipbelt is also long enough to adjust for various sized individuals. The little pump on the hipbelt inflates the lumbar support to offer fine tuning to the fit and comfort. There is also a "noggin notch" at the top of the framesheet that keeps the back panel from hitting the back of your head. 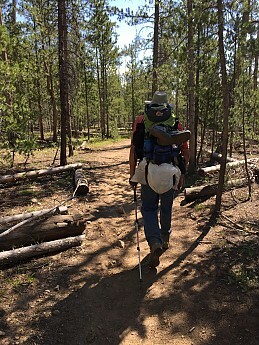 The hipbelt rotates slightly, independent of the rest of pack, which allows the pack to shift on the back as needed when hiking over uneven terrain, while still staying planted and fully supported on the hips. 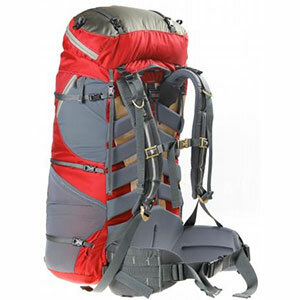 The various adjustment straps help to stabilize the load. This has helped the pack stay comfortable (even when overloaded, as seen in the picture below). This pack basically has one main pocket, a sleeping bag compartment, and a pocket on the lid. Not much else to it. So, it does suffer a little bit in ease of organization. However, there are some additional lashing points on the outside that allow for attaching additional, bulky items on the outside of the pack. My dad has used the pack multiple times. After the first use, he has requested to use it each time we've gone together thereafter. So it's obviously meeting his needs and is comfortable for him. My brother didn't find it as user-friendly as he was hoping, but that was mostly because he was looking for more external pockets that allowed for better organization. He still felt the pack itself was comfortable. I'll definitely keep this pack around and have it on hand for when my kids are big enough to use it (probably another 5-6 years). Thanks for letting us know how your prize backpack has been working out for the past decade, mackaym! Great review. The way I see it, no pack is going to be right for everyone. But this one might come close. It has a few features that I don't use but someone else might. Like the lid can be used as a lumbar day pack. Cool, but I've never used it. The hip belt moves with you very easy, and the pack stays centered really well. 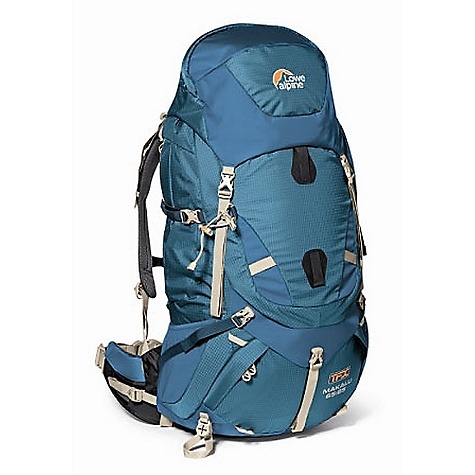 I got mine just about 2 years ago and have used it for everything from backpacking to rock climbing and mountaineering. All and all, go to a pro pack fitter, talk to your local shop, and think about this pack. It could be the one. The TFX Summit 65+15 has been discontinued. The Lowe Alpine TFX Summit 65+15 is not available from the stores we monitor. It was last seen January 15, 2013	at Mountain Gear.